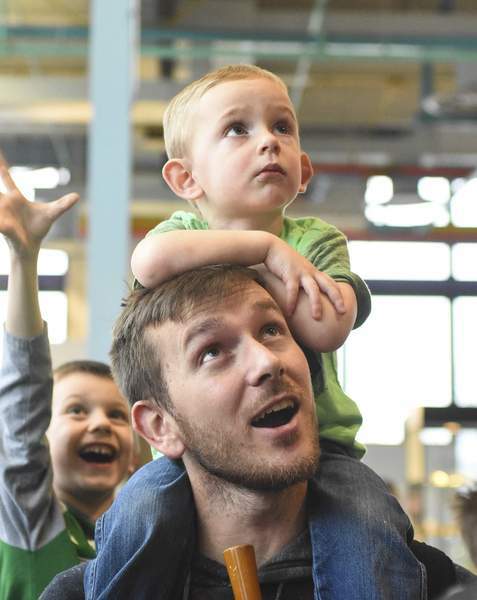 Michelle Davies | The Journal Gazette Otto Harpe, 2, sits on the shoulders of his dad, Brent, and watches as hundreds of balloons drop from the ceiling at Science Central's Countdown to Noon Monday. 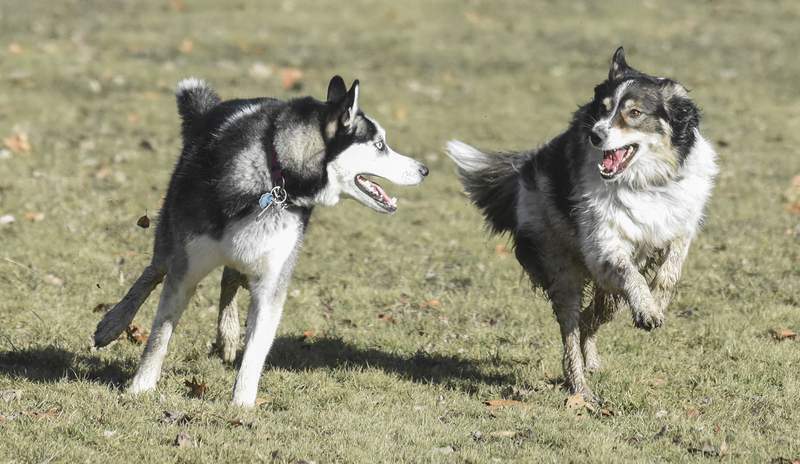 Michelle Davies | The Journal Gazette Skye, a 2-year-old Siberian husky, and Maddie, a 6-year-old husky-shepherd mix, both owned by Debra Hammond of Fort Wayne, chase each other through Pawster Park Thursday afternoon. 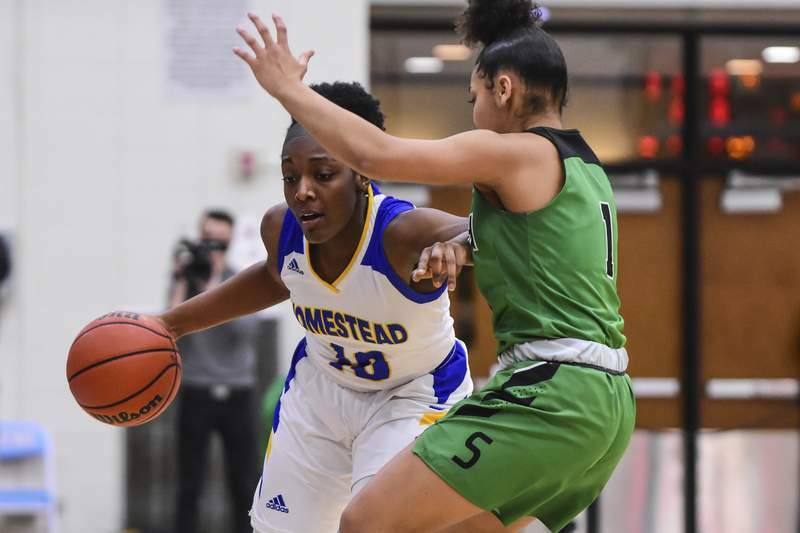 Mike Moore | The Journal Gazette South Side freshman Olivia Smith guards Homestead senior Sylare Starks as she drives down the court in the first quarter of the SAC Holiday Tournament final at Wayne High School on Saturday. 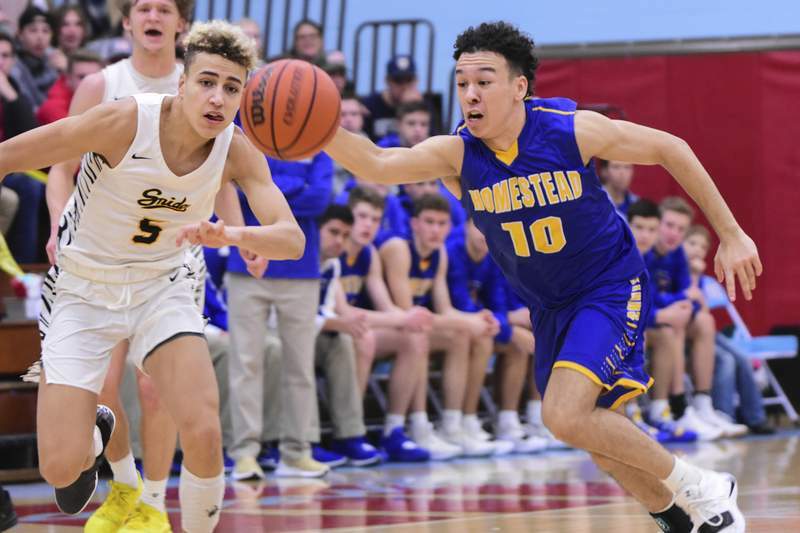 Mike Moore | The Journal Gazette Homestead junior Zak Kruger, right, takes the ball from Snider sophomore Michael Eley in the second period during the SAC Holiday Tournament final at Wayne High School on Friday. 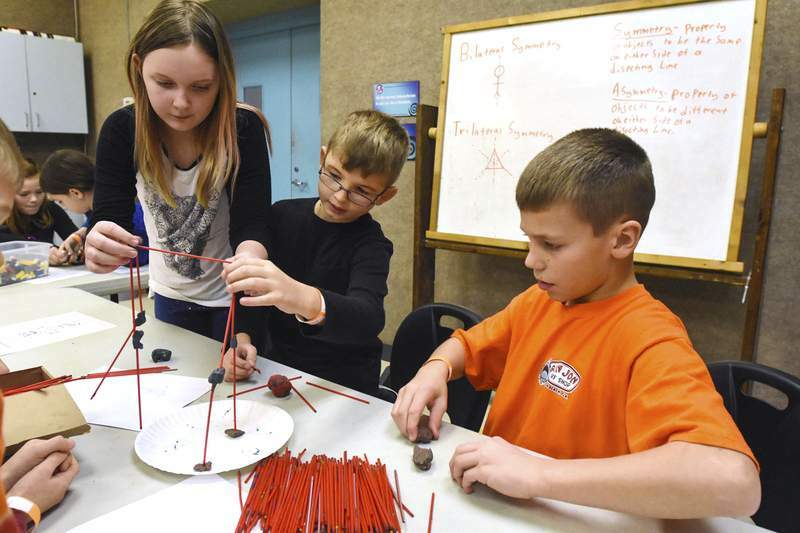 Michelle Davies | The Journal Gazette Working together to build a house made of clay and straws during Thursday's Story Book Science Day at Science Central's STEM Camp are, from left, Liliana Bloem, 10, Andrew Ziems, 9, and Wesley Clemens, 10. 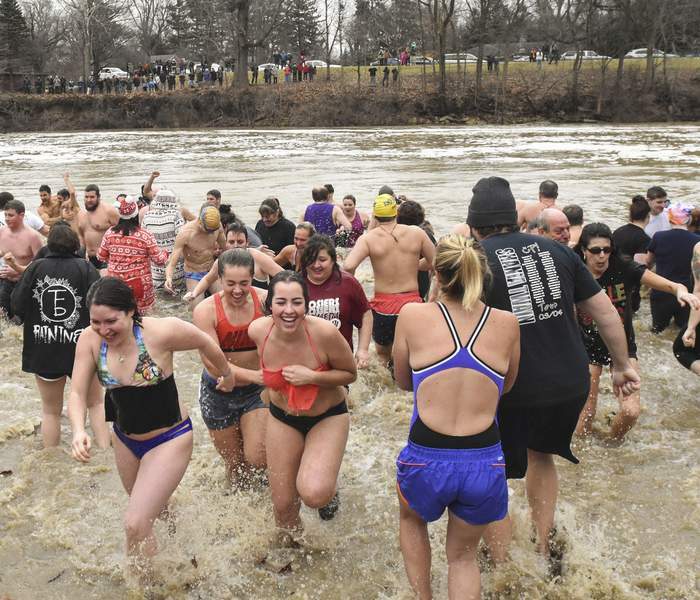 Michelle Davies | The Journal Gazette Participants in Tuesday's annual Polar Plunge exit the St. Joseph River after a brisk dip in the water. 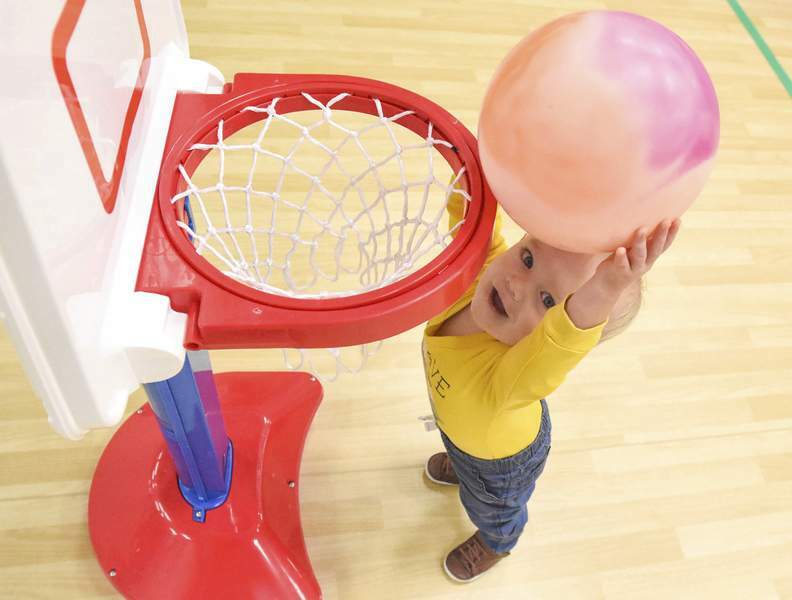 Michelle Davies | The Journal Gazette Nathan McKay, 1, of New Haven, slam dunks the ball at Wedensday's Tiny Tots program at the New Haven Community Center. The program runs through February. 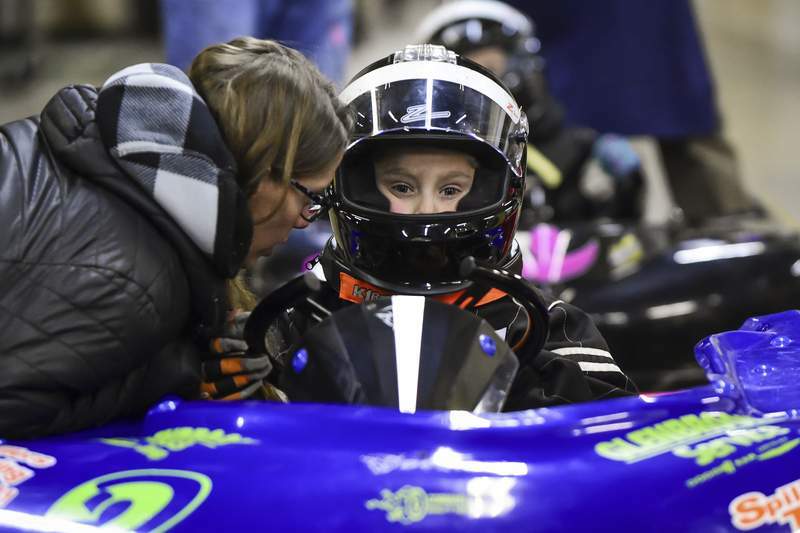 Mike Moore | The Journal Gazette Tyler Harsch, 6, receives some last minute encouragement from his mother before racing in his second heat of Kid Kart during the Rumble in Fort Wayne at Memorial Coliseum on Saturday. 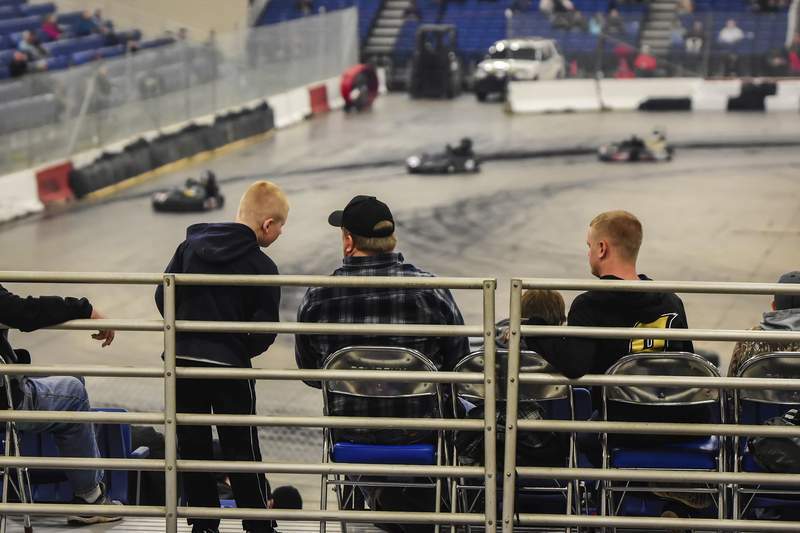 Mike Moore | The Journal Gazette Spectators watch midget car racing from the stands during the Rumble in Fort Wayne at Memorial Coliseum on Saturday. 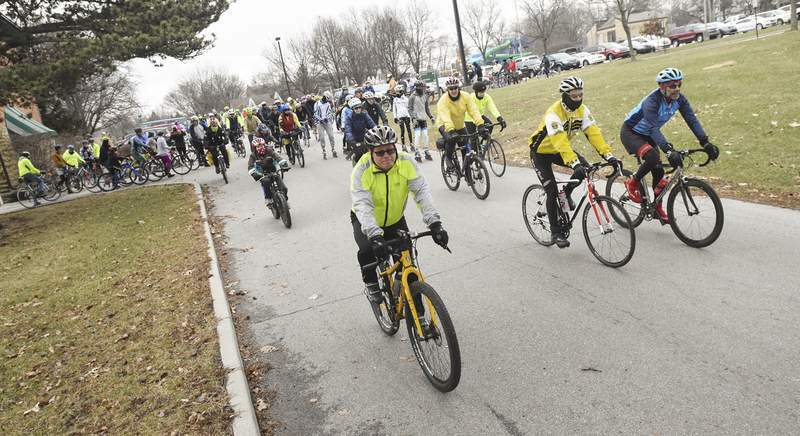 Michelle Davies | The Journal Gazette Taking part in the first ride of 2019, around 150 participants rode in Tuesday's 24th annual Chili Challenge Tuesday afternoon. Sponsored by Fort Wayne Parks and 3 Rivers Velo Sports, participants can ride anywhere from 12 to 30 miles and begin at Bob Arnold Northside Park. 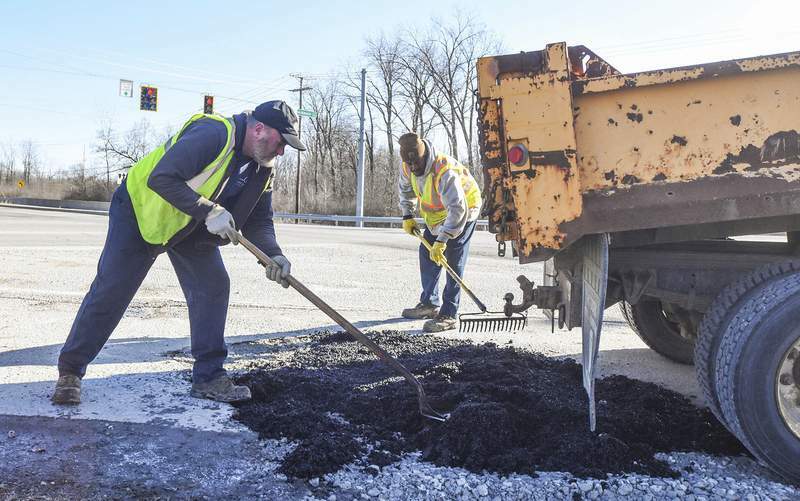 Michelle Davies | The Journal Gazette Michael Schneider, left, and Geoffrey Brooks, right, both with Fort Wayne Water Maintenance, work on filling in a pothole created when water crews were working on a valve along Ardmore Avenue and Lower Huntington Road Thursday afternoon. 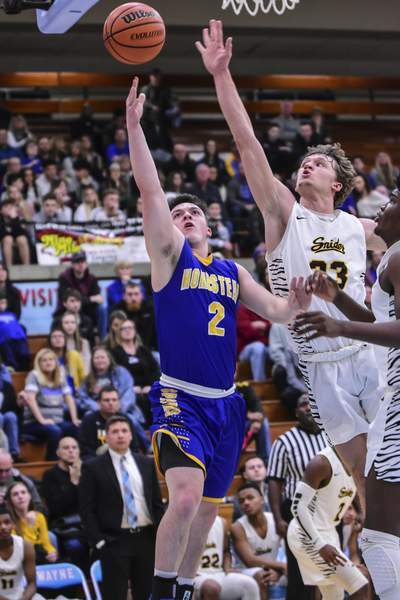 Mike Moore | The Journal Gazette Homestead senior Xavier Overstreet, left, scores over Snider junior Dillon Duff in the second period of the SAC Holiday Tournament final at Wayne High School on Friday. 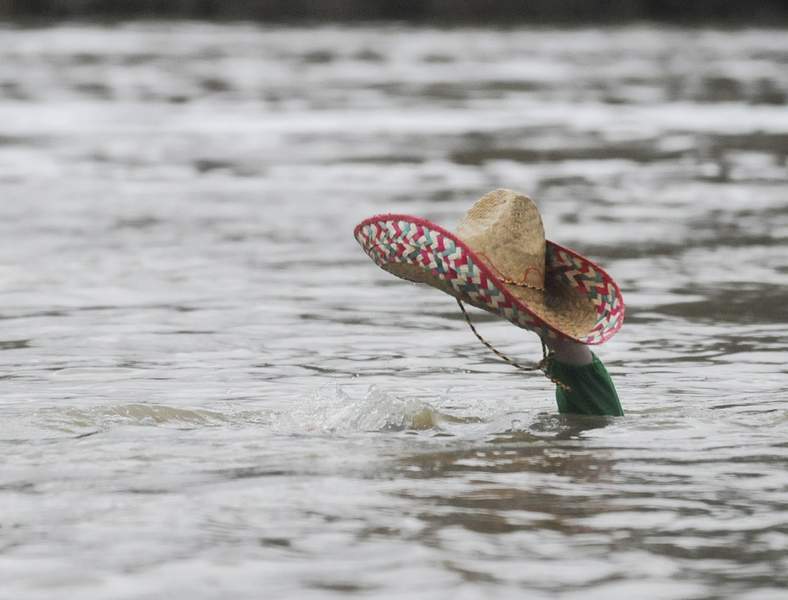 Michelle Davies | The Journal Gazette Bob Jaehl of Fort Wayne keeps his hat above water as he dunks himself in the St. Joseph River Tuesday afternoon while participating in his 41st Polar Bear Plunge at Johnny Appleseed Park. Rachel Von | The Journal Gazette Kayla Perkins, 16, moves her piece during a game of King Me! 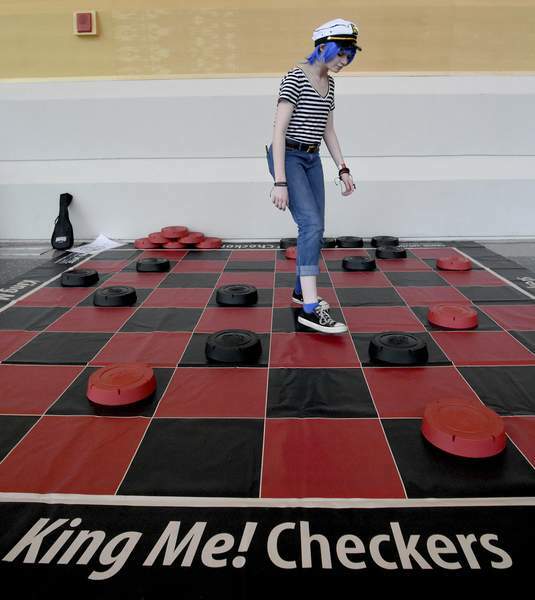 Checkers against Morgan Jones (not pictured) during PopCon at Grand Wayne Center Dec. 29. 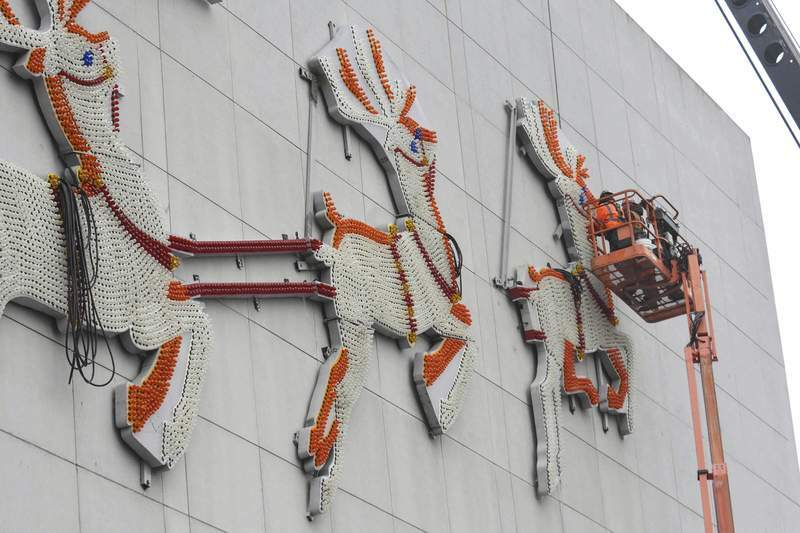 Michelle Davies | The Journal Gazette Workers from Doc's Crane & Rigging, Iron Workers Local 147 and Shambaugh Electric, Local 305, work to remove Santa and his reindeer Wednesday. 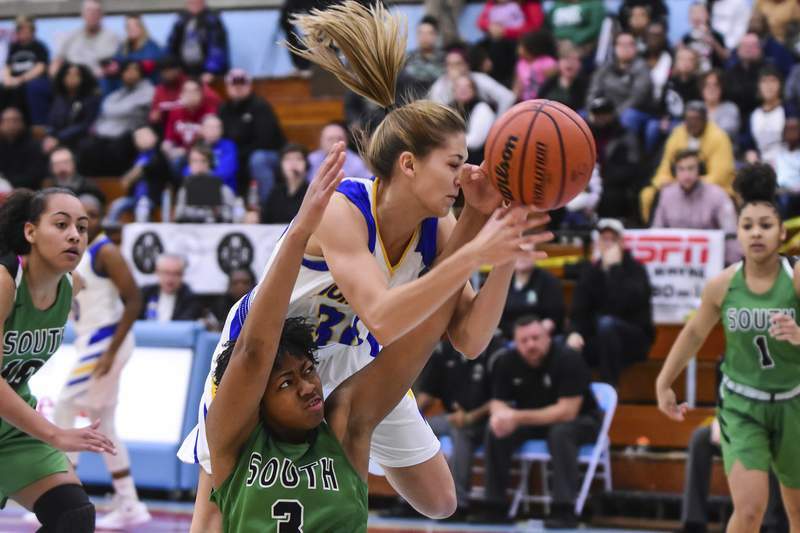 Mike Moore | The Journal Gazette Homestead senior Haley Swing, right, and South Side junior Alaya Chapman fight for possession of the ball in the first quarter of the SAC Holiday Tournament final at Wayne High School on Saturday. Rachel Von | The Journal Gazette Purdue Fort Wayne's Dee Montgomery jumps to shoot the ball during the first half against South Dakota State at Memorial Coliseum on Thursday. 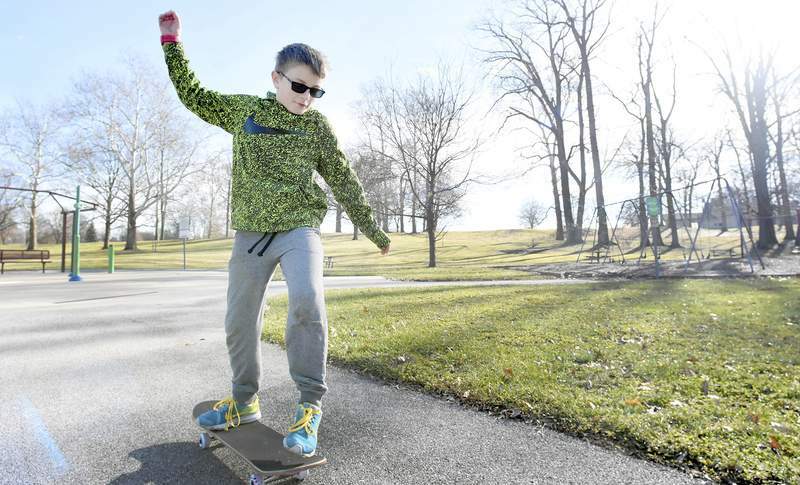 Rachel Von | The Journal Gazette Cooper Rice, 9, practices on his skateboard at Shoaff Park during a sunny winter day Friday. 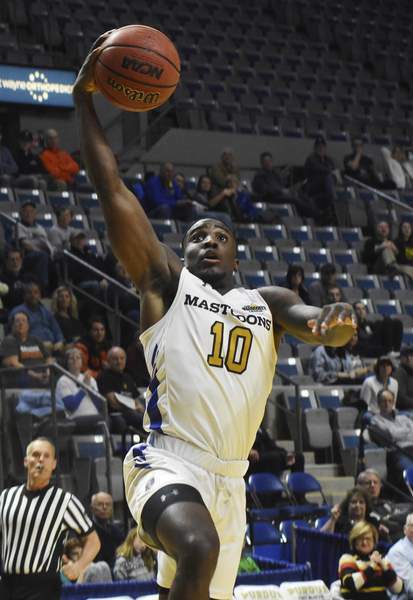 Photos taken by Journal Gazette staff photographers the week ending Jan. 4.